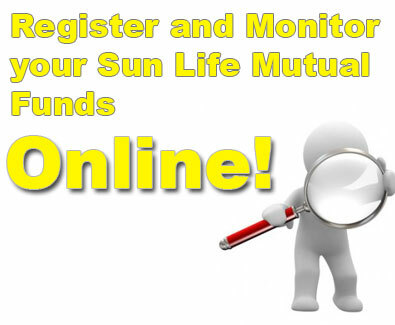 Q.1 Why should I invest in Sun Life Financial's mutual funds? Sun Life Financial is the only company in the Philippines offering a "family of funds". Unlike other mutual fund companies in the Philippines, Sun Life Financial allows its investors to transfer their placements between the Sun Life Prosperity Funds as much as four times a calendar year, without being subjected to any charges or fees. This is because Sun Life Financial believes that investors' needs change over time, and that they should not be penalized for shifting from one fund to another, if so dictated by their prevailing investment requirements. This is part of Sun Life Financial's objective of becoming a total financial services company that is responsive to people's needs. Q.2 Should I invest in mutual funds if there's a decline in investor confidence with regards to the local economic market? The decline of the local market, specifically the local stock exchange, is not exactly bad for mutual funds. In fact, this is the ideal time to buy stocks for mutual funds, when the prices are low. When the market improves and share prices go up, as they will, given time, the value of the equity securities will have risen along with them. Mutual funds are long-term investments, which should not be bought or sold based on short-term events. 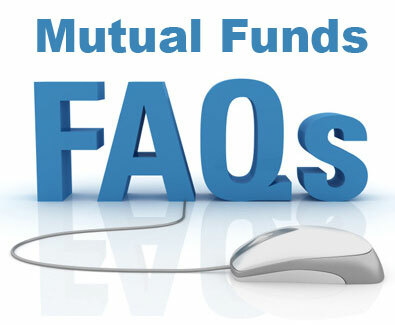 Q.3 Why should I prefer mutual funds when I can invest directly in the stock market? Mutual funds can serve as an alternative to investing directly in the stock market. The Sun Life Prosperity Philippine Equity Fund invests in equities, which have historically been proven to outpace inflation. Compared with buying stocks directly, mutual funds require a lower initial capital outlay yet allow you to achieve diversification at the same time. What this means is that in mutual funds, for a relatively small amount of money, you can afford to buy into several companies and achieve variety for your portfolio. When buying stocks directly, however, you may have to use a larger amount of money in order to achieve the same level of diversification. Q.4 What is the difference between a mutual fund and a unit investment trust fund? Both Mutual Funds and Unit Investment Trust Funds are fundamentally similar in the sense that they are both pooled funds wherein a group of investors entrust the management of said fund to a fund manager. The fund manager must then manage the funds among certain asset classes usually indicated in the name of the fund such as stocks, bonds or balanced. Thus, the decision of the investor should ultimately be based on the skill and reputation of the fund manager. Similarly, funds are valued under similar accounting standards, such as those governing mark-to- market, and the funds are entrusted to third party custodians. Both Mutual Funds and UITFs are not guaranteed unlike time deposits. Notwithstanding, there are still important differences. Mutual funds, which are regulated by the SEC are corporations, thus, investors in these funds are shareholders and entitled to all the rights given to shareholders (except preemptive rights) such as participating in stockholders meetings or electing directors. Clients of UITF’s, which are regulated by the BSP, are not shareholders and do not enjoy these rights. Q.5 What are Sun Life Financial's credentials in the areas of mutual fund management? Sun Life Financial, through its subsidiaries worldwide, has been managing mutual funds for several decades. In fact, the oldest mutual funds in the United States and Canada are managed by members of the Sun Life Financial group of companies. The Sun Life Financial group of companies manage a combined total of CDN$388.7 billion of assets under administration as of September 30, 2008. Locally, the investment management of our funds will be handled by our investment team in Manila. They presently manage assets in excess of Php 86 billion as of end-June 2007. How liquid are the shares of the Sun Life Prosperity Funds? If I want to redeem my investment, how long does it take to process the transaction? You will get your redemption proceeds in a few days (maximum of seven business days) from the time your redemption order was received by our head office in Manila. The value of the redemption proceeds that you will receive will be based on the Net Asset Value per Share (NAVPS) applicable on the day your transaction was processed. Q.7 How much do you charge investors who purchase shares of the funds? The first option (Option A) is to pay an up-front sales charge, depending on the amount invested or upon investing. This sales charge is what we call the front-end load, and is used to cover expenses related to the distribution of the funds. The other option (Option B) is the back-end load which allows the investor to pay the sales charge upon redemption (selling shares to the fund), or even avoid paying the sales charge altogether, as long as he remains invested in the fund for at least five years. The deferred sales charge is on a decreasing annual basis, and reaches zero after five years. Q.8 How much is the required minimum initial investment? For the peso-denominated funds, the required minimum initial investment is Php 5,000 for Options A & B. For the dollar denominated funds, the minimum initial investment is USD 1,000 for both options. Q.9 Am I required to make subsequent investments after the initial investment? Subsequent investments are not a requirement. However, should you wish to increase your investment in the funds, the minimum amount for subsequent investments is Php 1,000 for the peso funds and USD 200 for the dollar denominated funds. This applies to any of the two purchase options. We strongly advise our investors to regularly set aside a fixed amount of money for investments, regardless of the NAVPS. This way, you automatically buy more shares when the price is low, and fewer shares when the price is high. This kind of discipline is what we call Peso Cost Averaging. Q.10 Can you give me an estimated rate of return in a mutual fund? Mutual funds are essentially long-term investments. You can get the maximum benefits from a mutual fund if you leave your money with the fund and let it grow. At the same time, the rate at which your money will grow cannot be predicted because when you invest in a mutual fund, you are investing in a diversified portfolio of securities that normally fluctuate in value. The securities markets in which mutual funds invest tend to rise and fall over the short-term, as will the value of your investment. Your ability to withstand short-term volatility will generally result in greater returns over the long-term. Q.11 How are investors protected in a mutual fund? Mutual funds offer several levels of investor protection. First, they are regulated by the Securities and Exchange Commission of the Philippines. Second, every mutual fund corporation has a Board of Directors to whom it reports and whose primary duty is to protect investors' interests. Each fund has a different Board of Directors and each board is composed of a majority of people who are not connected with Sun Life Financial or any of its subsidiaries. Third, mutual fund securities are held by a reputable custodian and do not form part of the assets of the company managing the fund. The custodian banks of the Sun Life Prosperity Funds include Citibank, N.A., Deutsche Bank, A.G., and Hong Kong and Shanghai Banking Corporation Limited. They keep all stock certificates and any other documents that evidence ownership of the funds' assets. The primary purpose of having a custodian is to safekeep the assets of the funds. Q.12 Can I place an investment under the name of my child? If yes, what is the procedure on this? You may place investments in the Sun Life Prosperity Funds under your name in trust for your child. Simply fill-out and indicate in the application form that the account is "in trust for" (ITF) the name of the child and accomplish a Confirmation of Trust agreement, available upon request from our Investor Services Department. Make sure that you provide a photocopy of your child's birth certificate when placing investments under an ITF account. However, please note that the investment will not automatically be placed under the name of the child, when he/she reaches the age of majority. A written request must come from you in order for the transfer to take effect. Q.13 How much am I charged when I invest? The Front-End load (Option A) sales charges are applied against the original capital at the time of purchase (plus 12% VAT) depending on the amount invested. This stands as a compensation for the registered representative and covering expenses related to the distribution of the funds. The Back-End load (Option B) allows the investor to pay the sales charge (plus 12% VAT) only upon redemption, or even avoid paying sales charges as long as they remain invested for at least five years. Q.15 How is the number of shares computed? Q.16 In what banks can I deposit my subsequent investments? UNDER ACCOUNT NAME : SUN LIFE ASSET MANAGEMENT COMPANY, INC.
BANK TYPE BANK ACCT NO. PESO ACCOUNTS BANK ACCT NO.